As the end of the year approaches, we wanted to let you know where things stand for the arts in Congress—and to thank you for your work all year long in support of the arts. Funding: This week, Congress is expected to approve another kick-the-can-down-the-road funding patch. This funding patch will allow the National Endowment for the Arts (NEA) to continue to operate under its previous funding levels of $148 million. As you may recall, the House passed a nearly $2 million increase for the NEA this summer and the Senate committee approved an increase of $500,000, but there is no final bill. Instead, the NEA will continue to receive current funding until the next deadline—April 28, 2017. This delay puts on hold agency plans and their proposed budget work for FY 2017. In the meantime, President-elect Trump may put together his own budget plan. Congress will start 2017 by grappling with not only finding a way forward on this year’s funding (the calendar began October 1, 2016) but also next year’s. We will keep you updated as budget news happens. Arts Education: Since passage of the new K-12 education law, the Every Student Succeeds Act, we’ve been tracking implementation. On November 28, the U.S. Department of Education released final regulations pertaining to state accountability plans, and included “arts” in the list of well-rounded subjects. Americans for the Arts called for this inclusion, along with 51 organizations. Our latest federal and state materials are here. Under these final regulations, a state may now opt to submit its consolidated state plan on April 3, 2017, or September 18, 2017. 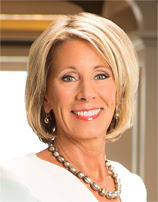 Transition: As the new year begins, a new Congress will be taking seat, and the U.S. Senate will begin confirming appointments to lead the federal agencies—including nominee Betsy DeVos to head the U.S. Department of Education. She’s a promoter of school choice, but is also a backer of the DeVos Institute of Arts Management in Maryland and her family is involved in Grand Rapid's ArtPrize in Michigan. We will continue to seek and cultivate these connections to the arts with your help. We’re also expecting infrastructure, tax reform, and jobs to receive attention in the first 100 days of the new administration—all of which can impact the arts, from public art and business incubators, to charitable giving and community development. We will keep you updated on actions to take. Arts Advocacy Day: All these changes and turnover might sound overwhelming, but it is all the more reason to drive the message home with your congressional delegation about the importance of the arts—especially as a unified government will likely accelerate the pace of congressional action. 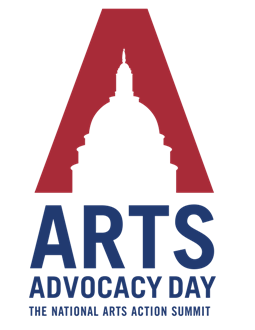 Join us in Washington on March 20–21, 2017 for Arts Advocacy Day to make the case! Registration is now open. This is a battle we can't afford to lose. As the year closes, we wish you and your family an arts-filled season of joy and health. Thank you for being an arts advocate! PS: Over 7,000 arts advocates have filled out our quick 11-question survey. Thank you! If you haven’t yet, there’s still time. Your responses will help us better serve you and your interests as an arts advocate in 2017.